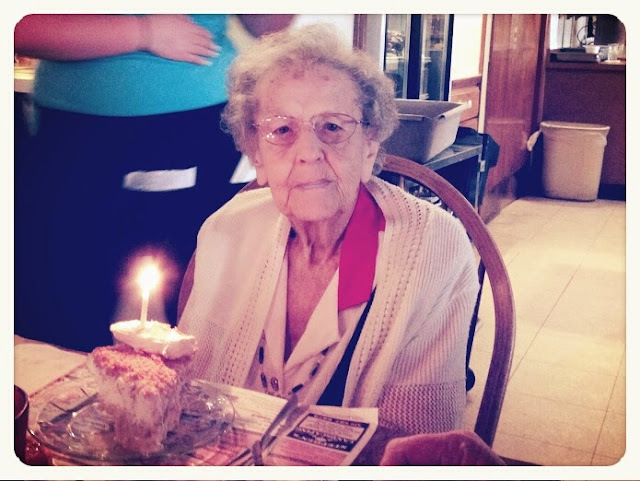 A few days ago my grandmother celebrated her 90thbirthday. That's pretty awesome...turning 90. I need to call her more than I do. She's lonely. Many of her family and friends have died. Besides, every time I call her she gives me some useful tips. I am sure this is because she loves reading the newspaper. Last time I talked to her she told me that mushrooms fight cancer...good to know. Does NASA know about this? Anyway, my grandmother is a cool lady. She always keeps a good attitude and even though its hard for her to write, she manages to send a card for most holidays...sometimes with a 2 dollar bill!